Auburn groomers bathe, brush, trim and provide other healthcare services for cats and dogs, but they do much more than just keep your pets looking and smelling good. Gilda F.L. Laster and Aneisha Williams are important to the Auburn healthcare team, because their services often uncover problems early, like ear infections, skin abnormalities or tooth decay. They shampoo, trim and shape pets’ fur. They also clip nails, style and comfort our pets while making them look good. 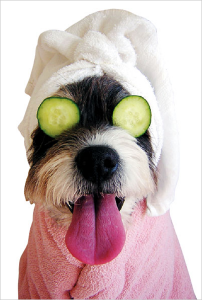 When needed our professional groomers detangle hair, remove mats, dry coats, and checks for skin irritations. Donald and Dionna are well versed in the styling standards of a variety of breeds. 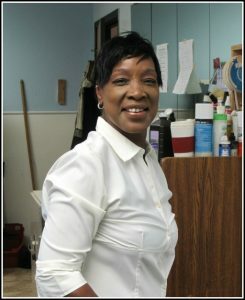 Clients also love the cleanliness and safety of our facilities, which is maintained by our team. You can trust your pets won’t leave with anything they didn’t arrive with. Their attentiveness to pet owners makes a big difference in their results. They’ll check with you ahead of your appointment to learn styling requests and the special needs of your pet. They have strong connection with cats and dogs, observing carefully to help keep your pets calm and relaxed during treatment. Aneisha Williams is the most recent addition to the Auburn team, though she fits in so well you’d never know it. She brings prior experience from grooming houses like the Pink Poodle. 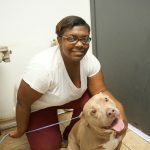 Hardworking, compassionate, Aneisha enjoys receiving putting new pets at ease, “It’s like watching your baby get their first well-check.” She plans to advance in her career in veterinary care. Gilda and Aneisha will help you coordinate grooming appointments with well care visits. They’ll put your anxious pets at ease to make sure the visit goes smoothly, and you’ll see they have fun while they’re doing it.